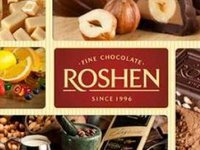 The Roshen confectionery corporation may be sold to its management in installments if there are no other buyers. "If it isn't over soon, I'll be compelled to sell Roshen to the management by installments if there are no [other] buyers, as there is no other way out. It will be made in a transparent and effective fashion," Ukrainian President Petro Poroshenko, who owns Roshen, said at a press conference on the results of 2014 in Kyiv on Monday. In his own words, he has had no influence on Roshen in the past seven months; the sale of the corporation is being arranged by Rothschild in a consortium with Investment Capital Ukraine LLC (ICU). "It's not a big secret that no investment is injected into a country amid a war – nobody buys anything and it's impossible to sell something. I've got reports that there were four buyers, the negotiations have been dragging on, and the key condition is to stop the war," Poroshenko said. As reported, Poroshenko pledged to sell his asset, Roshen, when running for president. The Roshen Corporation includes confectionery factories in Kyiv, Mariupol (Donetsk region), Kremenchuk (Poltava region), two facilities in Vinnytsia, and two confectioneries abroad – in Klaipeda (Lithuania) and Lipetsk (Russia). It also incorporates Ukrainian dairy producer Bershadmoloko and Litynsky stud farm. Roshen produces about 320 types of confectionery, including chocolate and jelly candies, hard caramel, chocolate bars, biscuits, waffles, biscuit rolls, and cakes. Its total annual output is 450,000 tonnes of confectionery.